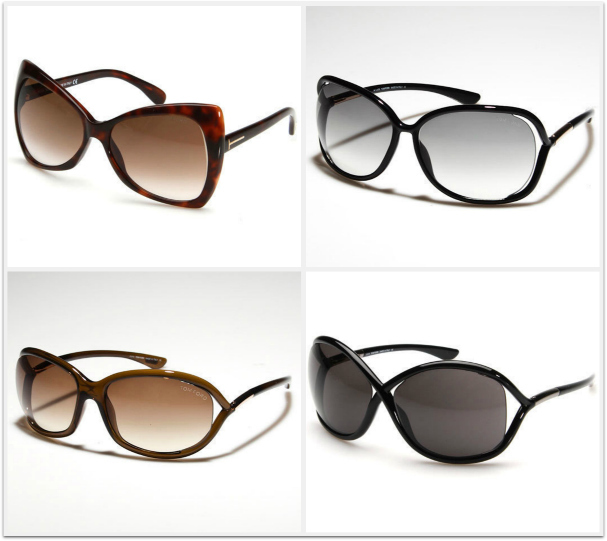 TOM FORD Eyewear: Sample Sale Frenzy! Quite a few online Sample Sale sites are featuring TOM FORD sunglasses right now. As I’ve mentioned before, it can be difficult to find more current styles in these sales, but some are available right now! As usual, I think the best selection available right now is on Beyond the Rack. The always popular (and gorgeous!) Nico, Whitney, Jennifer and Rachel are all available as of the writing of this post for under $250 each, plus free shipping is being offered through November 30th. That is a great price for those styles; you will rarely find them for less online. That being sad, Editors’ Closet also has a nice but limited selection of TOM FORD sunglasses and eyewear on sale right now for under $100/each. The selection is extremely limited and I find Editors’ Closet to be more difficult to use than other Sample Sale sites, but if you are looking for a deal, $100 for TOM FORD? That is amazing! 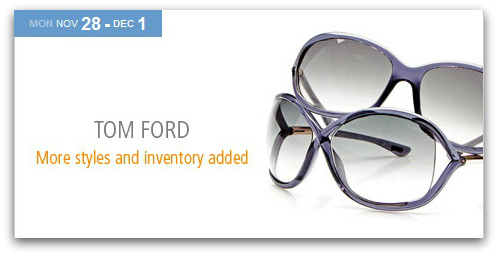 Finally, Rue La La is going to feature TOM FORD beginning December 2nd. Their selection is typically somewhere in between Editors’ Closet and Beyond the Rack, so check them out as well! 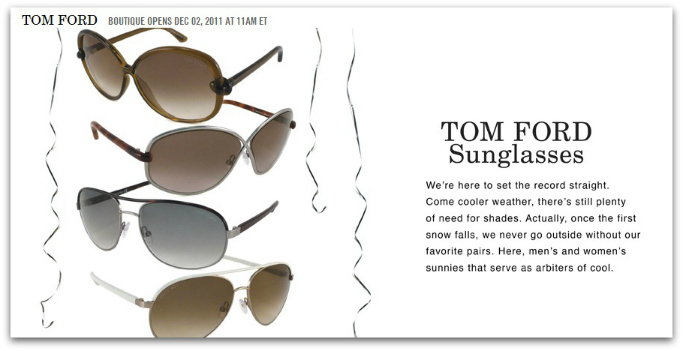 Are you planning to buy any TOM FORD sunglasses this holiday season? For yourself or as gifts? Those Rachel’s are calling my name! Oh my gosh, thank you for sharing!! I definitely need to grab me a pair or two of these gorgeous glasses. I’m looking at replacing my eye glasses too! His designs are incredible. Kirstin Marie recently posted…Friend Friday: What’s on your wish list?